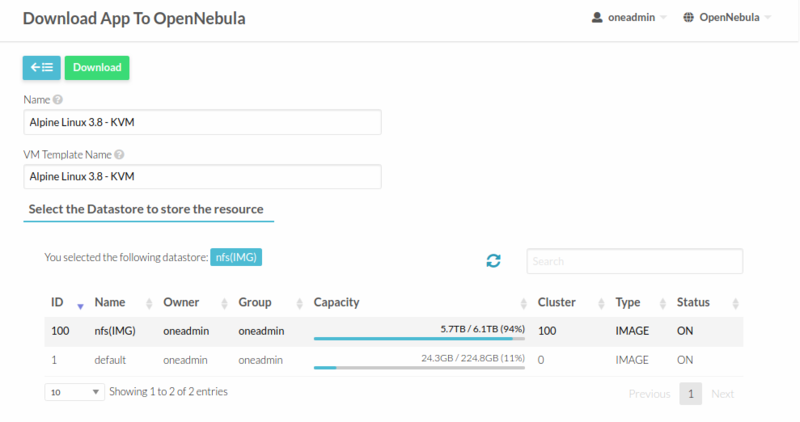 OpenNebula allows the management of hybrid environments, offering end-users a self-service portal to consume resources from both VMware-based infrastructures and KVM based ones to the user in a transparent way. Go to MarketPlace and select the image, then click on Download Button. When the destination image datastore is qcow2/raw you must define the attribute DRIVER=qcow2 or DRIVER=raw, respectively, in order to convert the image. If not, the image will be download without any change. Create a template in order to use the new image. Instantiate the template and check that it works. The process is very similar to the one described above. 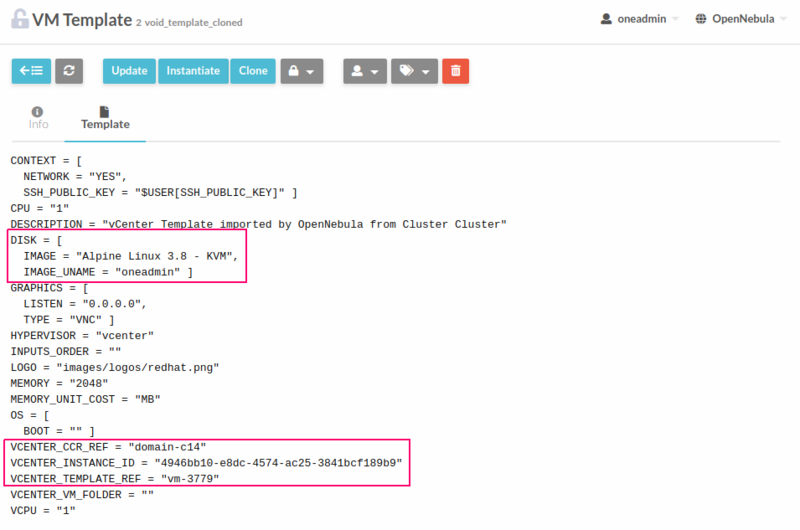 Go to MarketPlace and select the image in qcow2 format to be used in a vCenter cluster, then click on Download Button. In this case, when you import a vcenter datastore is automatically set DRIVER=vcenter so we dont need to define DRIVER attribute. Select the destination image datastore. When we download a vmdk image from the marketplace, a template is automatically created along with the image. 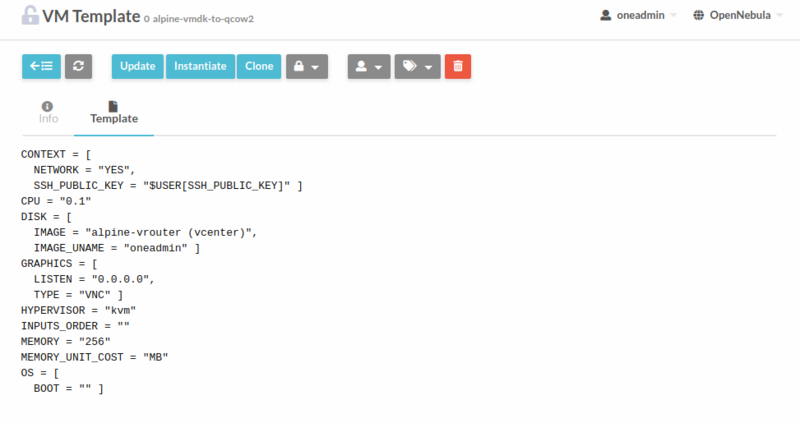 However, we need a template with a valid vcenter ref for your cloud. 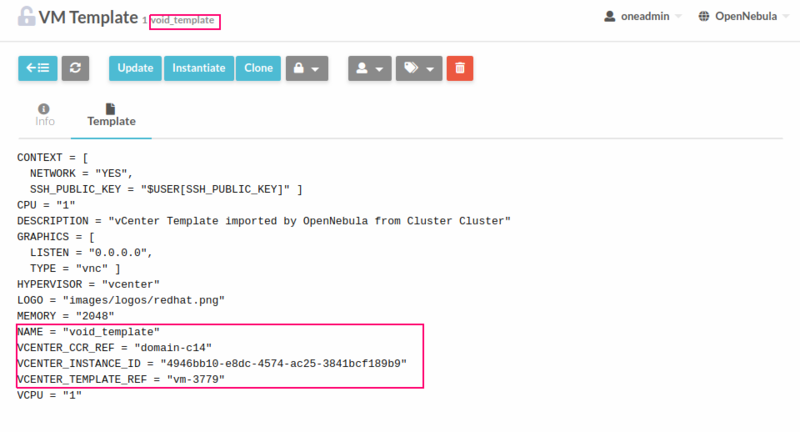 You need to define an empty template in vcenter and import it in OpenNebula. Now, clone the empty template to make use of the downloaded image. Attach the image to the cloned template, so we can keep the original for other VMs. 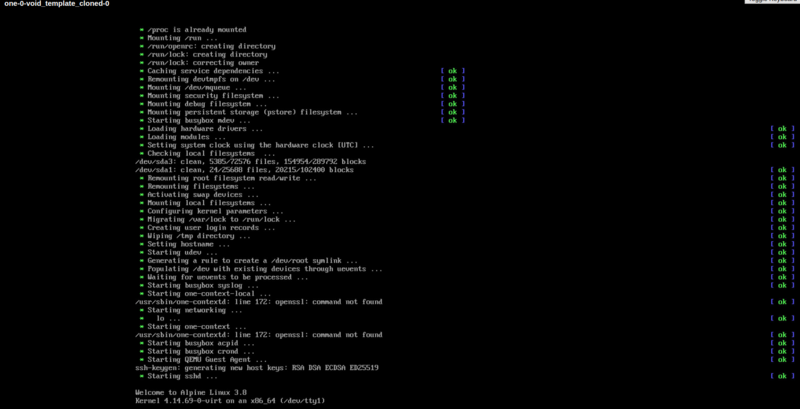 Then, the file is sent to the destination datastore. We have to take into account that when we convert an image from qcow2/raw to vmdk, the contextualization is lost so, we will have to install VMWare tools manually.